The third day of Ranji Trophy 2018/19 saw three outright wins. While Jammu and Kashmir defeated Haryana in Group C, Rajasthan continued their brilliant form beating Odisha by 35 runs. On the other hand, Kerala crushed Delhi by an innings and 27 runs. Hardik Pandya impressed with the bat in his comeback match. He scored 73 runs in Baroda's first innings and then has taken two wickets in second innings so far. Sikkim are two wickets away from a win against Mizoram. Uttarakhand continued to dominate the Plate Group. Starting the third day at 244 for 1, Baroda were bowled out for 436 runs. 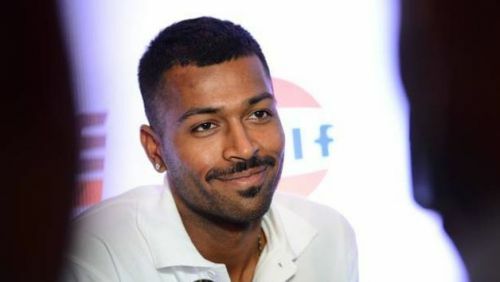 Hardik Pandya scored 73 runs in first innings. In their second innings, Mumbai ended Day 3 at 20 for 2. Hardik Pandya took 2 wickets. Mumbai 465 in 92.5 overs (SS Iyer 178, Siddesh Lad 130, Hardik Pandya 5/81, Bhargav Bhatt 4/76) and 20 for 2 in 11 overs (Tare 8, Hardik Pandya 2/4) lead Baroda 436 in 146 overs (Vishnu Solanki 133*, Waghmode 114, Hardik Pandya 73, Roston Dias 4/99, Shivam Dube 1/100, Ranjane 3/62) by 49 runs. It was an exciting day of cricket on the third day. Starting the day at 170 for 2, Railways were bowled out for 236 runs. Railways bowlers made a brilliant comeback to bowl out Vidarbha for 147 runs in their second innings. Chasing the target of 243 runs to win, Railways ended Day 3 at 19 for 1. Railways require 224 runs to win. It was a good day of cricket as Gujarat fought back strongly on the third day. Starting the third day at 348 for 7, Karnataka were bowled out for 389 runs. In reply, Gujarat ended the day at 187 for 3. Gujarat 216 in 69.4 overs (Priyank Panchal 74, Mehul Patel 31*, Vinay Kumar 2/33, Shreyas Gopal 2/21) 187 for 3 in 69 overs (RH Bhatt 82*, Merai 74, K Gowtham 1/44) lead Karnataka 389 in 121 overs (Shreyas Gopal 93, Devdutt Padikkal 74, Vinay Kumar 51, Nagwaswalla 3/48, Axar Patel 3/84, Piyush Chawla 4/99, Mayank Agarwal 25) by 14 runs. Starting the third day at 86 for 3, Maharashtra were bowled out for 247 runs in their first innings. After being asked to follow on, Maharastra ended Day 3 at 157 for 3. Maharashtra 247 in 70.2 overs (Kedar Jadhav 99, Chirag Khurana 30, Sakariya 6/63, Unadkat 2/50, D Jadeja 1/44) and 157 for 3 in 37 overs (Rohit Motwani 65*, HR Rathod 1/22) lead Saurashtra 398 in 136.3 overs (Vishavraj Jadeja 97, Snell Patel 84, Makvana 42, Sanklecha 6/103) by 6 runs. Starting the third day at 320 for 5, Himachal Pradesh were bowled out for 460. In their second innings, Andhra Pradesh have responded strongly to end Day 3 at 175 for 1. Andhra Pradesh 157 in 45 overs (Sai Krishna 74, Pankaj Jaiswal 5/43, Arpit Guleria 2/43) and 175 for 1 in 56 overs (Gnaneshwar 89*, Prasanth 52, Chopra 1/20) trail Himachal Pradesh 460 in 144.4 overs (Prashant Chopra 65, Kalsi 120, Amit Kumar 65, Mayank Dagar 41, Jaiswal 32, Rishi Dhawan 76, G Manish 3/102, Ayyappa 2/103, Shoaib Md Khan 2/99) by 112 runs. Starting the third day at 20 for 1, Hyderabad batted slowly and ended Day 3 at 204 for 4. Hyderabad 204 for 4 in 86 overs (Rohit Rayudu 92*, HP Agarwal 65, Tanmay Agarwal 18, Ashok Dinda 3/54) trail Bengal 336 in 120.3 overs (Easwaran 186, Majmudar 32, Sudip Chatterjee 32, Ravi Kiran 4/46) by 132 runs. Kerala crushed Delhi by an innings and 27 runs. Starting the third day at 41 for 5, Delhi were bowled out for 154 runs in their second innings. Kerala 320 in 95.3 overs (Ponnam Rahul 77, Vinoop Manoharan 77, Jalaj Saxena 68, Shivam Sharma 6/98) beat Delhi 139 in 66.2 overs (Jonty Sidhu 41, Dhruv Shorey 30, Jalaj Saxena 6/39) and 154 in 41 overs (Shivam Sharma 33, S Bhati 30*, Hiten Dalal 14, Dhruv Shorey 13*, Jalaj Saxena 3/49, Sandeep Warrier 3/39, Basil Thampi 2/26) by an innings and 27 runs. It was a memorable day for Shubman Gill who scored a brilliant 268 runs and helped Punjab post 479 runs in their first innings. In their second innings, Tamil Nadu ended Day 3 at 166 for 3. Tamil Nadu 215 in 85 overs (Vijay Shankar 71, Baba Aparajith 40, Manpreet Gony 5/55, Baltej Singh 3/45) and 166 for 3 in 46 overs (Mukund 74, Jagadeesan 50, Yuvraj Singh 2/12) trail Punjab 479 in 118.5 overs (Shubman Gill 268, Mandeep Singh 50, Yuvraj Singh 41, Gurkeerat Singh Mann 48, Sai Kishore 6/107, Natarajan 1/82) by 178 runs. Jammu and Kashmir defeated Haryana by 130 runs on the third day. Starting the third day at 49 for 4, Haryana were bowled out for 91. Jammu and Kashmir 6, Haryana 0. Rajasthan defeated Odisha by 35 runs to register another win in Group C. Starting the third day at 6 for 2, Odisha were bowled out for 137 runs in their second innings. Rajasthan 135 in 57 overs (Mahipal Lomror 85, Basant Mohanty 6/20) and 148 in 50.2 overs (SF Khan 39, Gautam 51, B Mohanty 5/29, Rajesh Mohanty 2/31) beat Odisha 111 in 57.2 overs (Debashish Samantaray 50, AS Raut 24, TM UL Haq 5/14, A Choudhary 5/49) and 137 in 45.2 overs (SB Pradhan 56, Senapati 36, Shantanu Mishra 4*, A Choudhary 5/25, TM UL Haq 3/39) by 35 runs. Starting the third day at 107 for 4, Goa were bowled out for 192 runs in their first innings. Following on, Goa ended the day at 113 for 3. Goa 192 in 89.4 overs (Kauthankar 79, Prabhudesai 34, AK Sarkar 4/29,AS Sarkar 3/42, Harmeet Singh 2/33) and 113 for 3 in 37 overs (Prabhudesai 39*, Amonkar 29, Murasingh 1/27) trail Tripura 358 in 115.4 overs (Pratyush Singh 110, RH Saha 68*, Amit Verma 3/87, LA Garg 3/107, K Das 1/52)by 53 runs. It was a decent batting effort by Services. Starting the third day at 213 for 2, Services were bowled out for 396. Assam ended the day at 83 for 3. Assam 211 in 98.5 overs (Amit Sinha 56, Gokul Sharma 49, Pandey 5/74, Pathaina 3/75, Khalid 2/22) and 83 for 3 in 26 overs (RK Das 41, PP Das 27, Pathania 2/28) trail Services 396 in 136.4 overs (Rajat Paliwal 180*, Navneet Singh 79, Ranjit Mali 2/60, Mukhtar Hussain 2/82, JN Kalita 3/99) by 102 runs. It was a superb bowling performance by Jharkhand on the third day. Starting the day at 173 for 4, Uttar Pradesh could only score 243. In their second innings, Jharkhand ended the day at 143 for 2. Jharkhand 354 in 116.1 overs (Nadeem 109, Ishank Jaggi 95, Ishan Kishan 54, Dhruv Pratap Singh 6/105) and 143 for 2 in 47 overs (Deobrat 70*, Yash Dayal 1/23) lead Uttar Pradesh 243 in 66 overs (Suresh Raina 75, RK Singh 53, Priyam Garg 54, Rahul Shukla 5/65, Varun Aaron 4/59) by 254 runs. Starting the third day at 75 for 3, Sikkim were bowled out for 169 runs in their second innings. Chasing the target of 341 runs to win, Sikkim are just 2 wickets away from a big win. Mizoram require 179 more runs to win. Uttarakhand have ended the third day in a strong position. Starting the day at 371 for 4, Uttarakhand were bowled out for 557. Nagaland ended the third day at 172 for 4. Nagaland 207 in 59.4 overs (Jonathan 69, KB Pawan 46, Deepak Dhapola 5/49) and 182 for 4 in 52 overs (Rupero 85, KB Pawan 46, Rangarajan 2/60) trail Uttarakhand 557 in 151.5 overs (Vineet Saxena 185, VS Panwar 101, Mayank Mishra 58, Karn Veer Kaushal 48, Pawan Suyal 2/104, Rachit Bhatia 2/48, A Kazi 3/124) by 168 runs.